Blogpost written by Eleanor Flatt, Restoration and Biodiversity Monitoring Research Field Assistant and Birder. In the 1900’s, the first Audubon Christmas Bird Count was conducted in 25 areas with 27 birdwatchers in the US & Canada. 100 years later, the tradition has expanded to over 2,200 areas in 20 different countries. The Osa Peninsula is one of these locations and this year marked its 8th annual Christmas Bird Count. Data collected from Christmas Bird Counts form long-term bird population studies. These are used by scientists to detect bird declines from habitat disturbances and climate change. The Christmas Bird Count is a 24-hour event that occurs every year in December/January. In 2017, we were excited to work with partners to coordinate the First Junior Christmas Bird Count highlighted in a previous blog, as well as to continue this traditional Christmas Bird Count with community members of all ages. 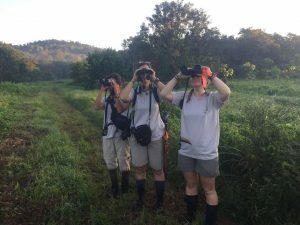 On Saturday, 16th December, 2017, volunteer citizen scientists headed out at the break of dawn all over the Osa Peninsula to count birds and became part of a long-running tradition. Participants included private landowners, eco-lodges, NGOs, local guides, national parks, and travel companies. Our team was 1 of 16 initiatives participating this year. Our bird count team was up before the sun, beginning the birding at 5am. 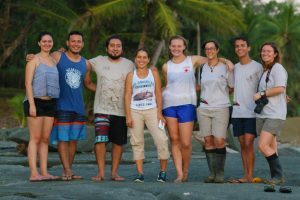 The team split into groups to survey several habitat types; primary forest, secondary forest, plantation forest, swamp, restored wetland, and abandoned pastureland. This was to ensure we captured a result that reflected the diverse bird fauna in the Osa Peninsula, a global biodiversity hotspot. Birding continued throughout the day until the evening, with all teams finishing at the rock pools to watch the sun settle over the ocean. Our team walked a total of 30km, actively birded for a total of 12hrs and recorded a total of 142 bird species! This included the Golden-Winged warbler that was featured wearing a Christmas hat for the Christmas Bird Count 2017 logo. 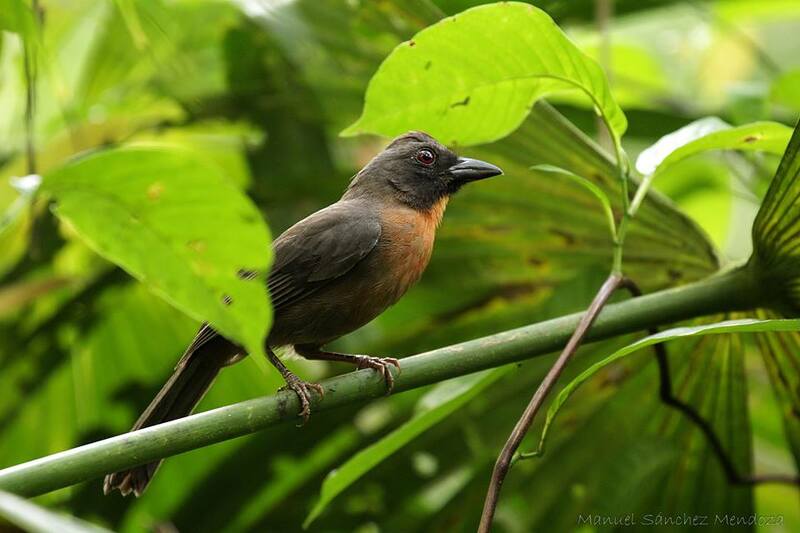 We recorded endemic species such as the black-cheeked ant tanager. Also, a spectacular sighting of the white-tailed kite! This data all goes towards valuable birding databases, like Cornell’s eBird, which has designated Osa Conservation’s properties as an official birding hotspot. We want to thank all the Osa Conservation’s volunteers, staff, friends and families that joined us to make this day successful. We wonder how many species we will get next year.